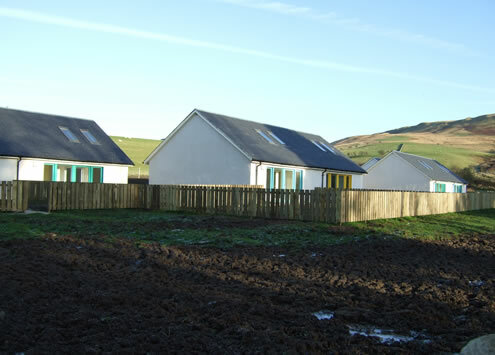 This project is located in the small village of Straiton, which has no mains gas and no public drainage system. The existing conservation village has terraces of weavers cottages with low eaves and the new build design respects this scale. 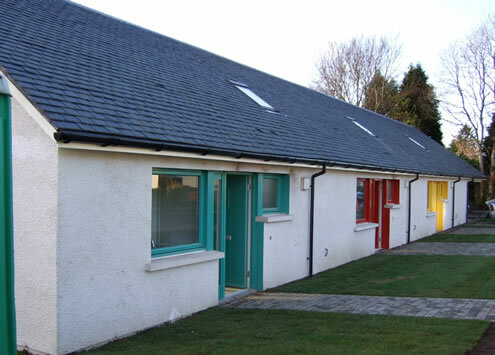 The development of houses were among the first completed on the housing association brief of “homes for life” and are fully accessible for people with disabilities. 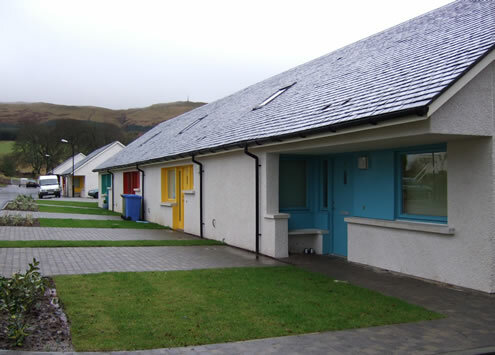 In order to minimise energy costs and provide a sustainable drainage system ARPL have designed the project to incorporate specific environmental measures, which ensure a successful housing scheme. The houses are planned for the best orientation, incorporating solar energy collecting sunspaces, high insulation values and heat recovery. A new reed bed has been installed to treat the effluent from the houses on site to a high level of purity to protect the local watercourses.